Her parents were tribal royalty of the Egbado clan, but they were killed in a brutal raid on her village; victims of the notorious slave trading monarch King Gezo of Dahomey. Sarah was captured and facing certain death at the King’s Court when her fate suddenly changed with the arrival of a British captain in the Royal Navy. 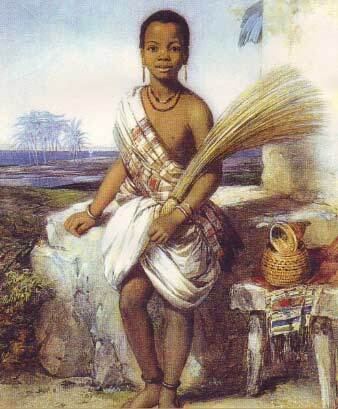 He had been sent on behalf of Queen Victoria to convince King Gezo against the enslavement his own people. Negotiations were hollow, although Gezo did offer a gift “from the King of the Blacks to the Queen of the Whites”– and that was Sarah. Captain. The “gift” was accepted and Frederick E. Forbes was tasked with the delivery of Sarah to the Queen. Forbes gave the child his own surname and added the “Bonetta” after his ship, the HMS Bonetta. 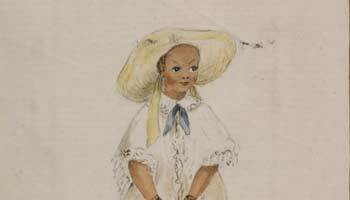 By the time she reached Britain, the girl who had been orphaned, enslaved, stripped of her identity and stolen from her country by the age of eight, had already learned to speak English on the voyage over, showing great intellectual promise despite the injustices she had suffered. On her introduction to the Queen, the young tribal princess immediately won over the affections of Victoria with her natural, regal manner. Sarah continued to learn English at rapid speed and often far outshone her British peers throughout her academic studies. 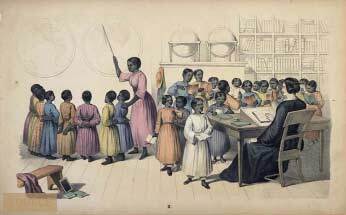 After noticing her talent and passion for learning, not only did Queen Victoria personally pay for Sarah to receive a higher quality education, but the monarch also made the former slave girl her own goddaughter. She is a perfect genius; she now speaks English well, and has a great talent for music. She has won the affections, with but few exceptions, of all who have known her, she is far in advance of any white child of her age, in aptness of learning, and strength of mind and affection. However, Fredrick Forbes passed away after Sarah’s first year in England and it was decided that she should return to Africa to be educated in a missionary school in Sierra Leone. Having quickly become accustomed to the British lifestyle however, Sarah was unhappy in Sierra Leone and when she turned 12, Queen Victoria agreed for her to return to England, where she was placed in the care of a family of missionaries. 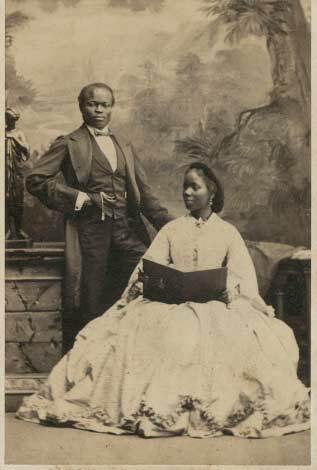 At the age of 18, Sarah received a marriage proposal from James Pinson Labulo Davies, a wealthy African Businessman who was living in Britain at the time. After initially declining his proposal, Sarah was sanctioned by the Queen to accept. The couple got married at a very elaborate wedding, in which Sarah arrived accompanied by 10 horse-drawn carriages and 16 bridesmaids. After the wedding, the newly married couple returned once again to Sierra Leone, Davies’ homeland, where Sarah taught at a school in Freetown. Shortly after their arrival in Sierra Leone, Sarah gave birth to the first of their 3 children whom she named Victoria, in honour of the Queen. The Queen also became the child’s godmother. Sarah and her daughter returned to Britain on a number of occasions to visit with the Queen Victoria, and even after Sarah’s death, the monarch remained closely connected to her youngest African goddaughter who, like her mother, possessed great musical talent. Upon her death the Queen wrote in her diary: “Saw poor Victoria Davies, my black godchild, who learnt this morning of the death of her dear mother”. 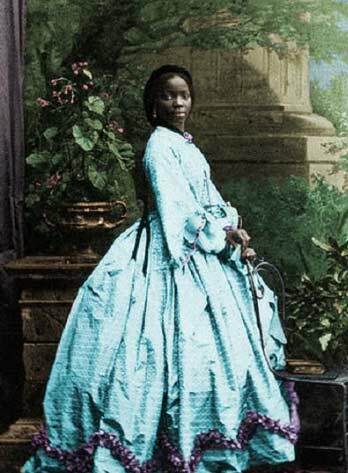 Where history is often concerned with laws and battles and kings, the story of Queen Victoria’s African goddaughter has been left out of the history books. But her story changes our skewed vision of a white-only Victorian England, when in fact, there was a black presence that interacted with Victorian society, at the highest level in this case, with Queen Victoria herself. And despite all the losses that Sarah faced throughout her early years, Sarah Forbes Bonetta was undoubtedly a role model of resilience in the face of tragedy and an unknown world.